Your new Pokémon adventure promises to be exciting and challenging every step of the way! Be prepared to encounter many tough Pokémon and battle against tough Trainers to become the Champion! 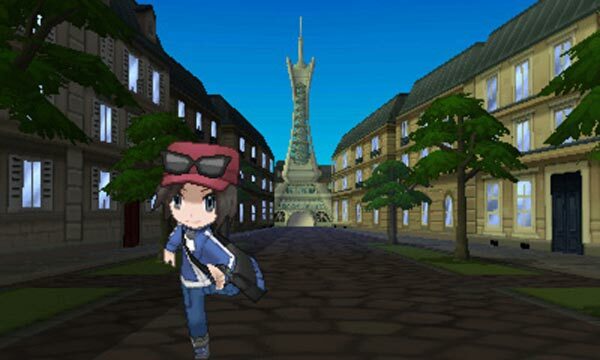 Your adventure in Pokémon X and Pokémon Y takes place in the Kalos region, home to beautiful skies and forests! The Kalos region is full of interesting places to visit and explore! Once again, Game Freak hits the nail squarely on the head, making Pokémon X and Y an excellent new addition to the series' expansive library. Thanks to the simultaneous multi-region release date more players than ever before will be able to experience first-hand that indescribable sensation of unearthing brand new Pokémon that have nimbly avoided the dreaded internet leaks. X&Y are familiar on the surface, but nothing about each game is untouched in Game Freak’s amazing Pokémon revolution. Game Freak didn’t really make any huge changes to the accessible gameplay. But it’s all that’s been added to Pokemon X & Y that round out the game as something more progressive for the franchise than we’ve seen in a long time. While Pokemon has managed to remain extremely popular over the years, it’s been need of upgrades to bring it up to speed. Pokemon X & Y is this upgrade, and the first step toward what we’ll see from the franchise for the future. All told, it's an impressive accomplishment, and a great start for the series on the Nintendo 3DS. I have no idea what the future holds, but for another few years at least, the beat will go right on for what may be the most important series on any Nintendo platform. Pokémon X and Y makes the classic series feel brand new. I can remember the feeling I had when playing Pokémon Red for the first time and when I began this new journey and it instantly felt like I was ten years old again. For the first time in years, doing things like running into and catching Pidgey felt brand new. So, what is our conclusion? Well, with just the right mix of nostalgia and new features, as well as beautiful, colourful graphics, and a very impressive online experience, Pokémon X and Y both offer a refreshing change to the much loved series that both newcomers and long time fans can appreciate, and these games are one of the best titles available for the 3DS system to date. It is a must own for any 3DS owner. Even with all of these renovations, innovations, and--yes, we're going to just go ahead and say it--evolutions, Pokémon X and Y still feel like a Pokémon game in the end. Sure, you're going to spend some of the time petting your Pikachu and you get to choose multiple starters, but X and Y eventually land in the comfort zone fans have found themselves in for six generations. It's a great-looking game whose visuals can finally match the inherent charm of its many potential pokemon protagonists, and its engrossing core has been enhanced by the new additions to its gameplay. Pokemon X/Y isn't quite a mega evolution of its numerous predecessors, but like a dark move played against a ghost- or psychic-type pokemon, it doesn't disappoint. I want to walk around in grass and toss my balls in a magic dog's face, and that's exactly what I get from X and Y. That I get it with beautifully animated combat and gorgeous, vivid colors just totally seals the deal. Nobody has demonstrated they can do Pokemon better than Pokemon can. X and Y does everything it needs to remain relevant, to prove why it's the top of its field, and if that's not good enough for you, there's nothing Ekans say to change your mind. 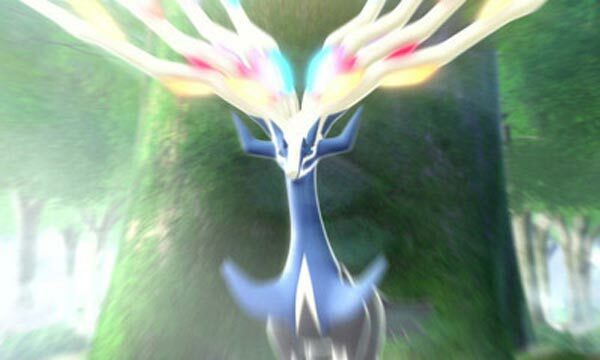 Game Freak has really outdone itself this time, and Pokemon X and Y will be remembered as great transition point for the series’ transformation into an even more social, beautiful, and strategic game. 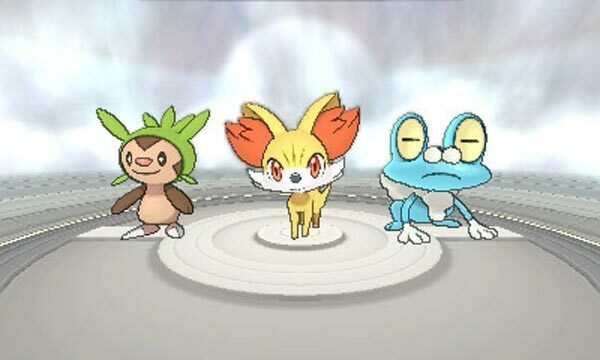 Whether you've wrangled dozens of Charmanders or couldn't pick a Pikachu out of a Safari Zone lineup, Pokémon X/Y is hands-down the best in the series. X & Y are two of the best 3DS games available and succeed in making Pokémon feel next-gen. Before 2000, when Pokémon fever took hold I wondered what it would be like to become a true Pokémon master on a home console like the Nintendo 64. Pokémon X & Y are that adolescent fantasy come to life, an ultimate and truly next-generation adventure in a familiar world. 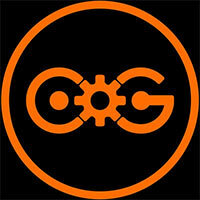 Parts might seem all too familiar, but others are delightfully foreign and new. Having taken huge steps forward in graphical, world, and interface design along with connectivity, Pokémon X/Y is a refreshing game to play. It's the perfect place for old fans to return to the series and for new fans to discover why Pokémon is so beloved by gamers of all ages. This feels like a new dawn for the Pokémon series, which will hopefully continue to grow and evolve now that it has re-introduced itself as a contender in the modern era of gaming. Ultimately, we recommend Pokemon X or Y (your choice, we suggest looking up the Pokemon exclusive to either title and for you to chose based on your preference), for anyone with a 3DS. Rising above Luigi's Mansion, Ocarina of Time 3D and Fire Emblem, Pokemon X and Y is the primary reason to own a 3DS, excelling well beyond our expectations. Pokemon X and Y is a completely interconnected experience, which is exactly how Pokemon is meant to be played — a fact I'd forgotten since my schoolyard days. Nevertheless, Pokémon X & Y is the finest expression of Satoshi Tajiri's obsessive vision yet. The transition to 3D is smooth and natural and the multitudinous additions to the proven formula will excite even the most jaded Pokémon fanatic. The sixth Pokémon generation’s leap into three dimensions is a godsend, maintaining a recognisable experience while giving the aesthetic experience much-needed depth and dynamism. Even with this new presentation, though, the seventeen-year-old core remains the same – a trusty old heart that doesn’t really need to change. 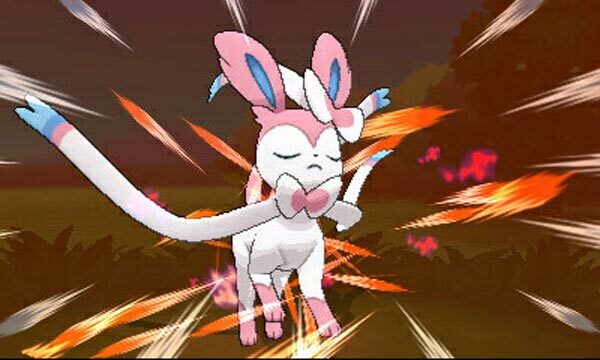 Pokémon X / Y no revoluciona su fórmula, pero sí la regenera hasta tal punto que no sólo contentará a sus fieles seguidores, sino que podría convencer a nuevos usuarios e incluso recuperar la magia en aquellos que lo perdieron de vista hace mucho tiempo. Game Freak lo ha conseguido, ha creado un título que no sólo evoluciona, sino que megaevoluciona, dando paso a la sexta generación pokémon de la mejor forma posible. D’un autre côté, la série conserve 90% de son gameplay et continue de le faire évoluer par petites touches. Si le challenge s’envole peu à peu, le concept n’en reste pas moins incroyablement efficace et offre une durée de vie toujours plus colossale. Si on y ajoute les nouvelles activités connectées, on tient probablement les titres qui vont battre des records de vente sur 3DS. Réussir un épisode à la hauteur des versions Blanche 2 et Noire 2 n'était pas chose aisée, et pourtant Pokémon X et Y s'en sortent avec brio. Les animations et la modélisation des environnements sont de qualité, le contenu toujours aussi gargantuesque et le titre se veut encore plus tactique que les précédents grâce aux méga-évolutions et au nouveau Système de Perfectionnement Virtuel. 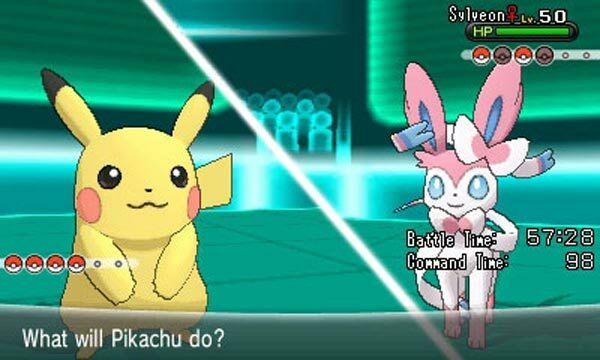 Oui, avec Pokémon X et Y, on tient véritablement le titre le plus abouti de la série, qui parachève dix-sept ans de maturation pour une des sagas RPG les plus perfectionnées. Pokémon, c'est véritablement du plaisir immédiat, mais il est vraiment plus que temps pour la série de sortir de son carcan, d'oser aller plus loin que la sempiternelle logique des huit arènes liées à un type suivies de la Ligue Pokémon et de la méchante Team. Pokémon X e Pokémon Y é a evolução que tardava em chegar. O salto visual era imperativo nesta altura e é um grande contributo para a série ganhar novo fôlego. Não se trata apenas de novos Pokémon e situações de batalha, acompanhado de actividades paralelas disfarçadas de minijogos de fraco interesse. Trata-se sobretudo de uma nova forma de interacção com todos os aspectos que caracterizam um jogo desta série. Per la prima volta i giocatori Europei potranno gustarsi un gioco di Pokémon senza sapere in anticipo le evoluzioni degli starter, senza conoscere le posizioni di tutti i Pokémon o il tema di ogni palestra, lottando alla pari con allenatori di altri paesi. Zowel nieuwkomers als doorgewinterde strategieveteranen vinden hun gading in de zoveelste schitterende Pokémongame. GameFreak's jongsten waren al een verplichte aankoop voor Pokémonfans, maar blijken nu ook een must-have voor iedereen die ook maar een beetje van RPG's houdt. De grootste reden waarom Pokémon X en Y zo geweldig is, is dat je meteen vanaf het eerste moment doorhebt dat je een compleet nieuwe game aan het spelen bent. De serie is er echt immens op vooruit gegaan sinds Black 2 en White 2, mede dankzij de dynamische camera en gevechten.